Progression of atherosclerotic plaques into life-threatening lesions is associated with angiogenesis which contributes to intraplaque hemorrhages and plaque instability. The lack of adequate models for the study of human plaque-induced angiogenesis has limited progress in this field. We describe here a novel ex vivo model which fills this gap. Plaques obtained from 15 patients who underwent endarterectomy procedures were co-cultured in collagen gels with rat aorta rings which served as read-out of human plaque angiogenic activity. The majority of plaque fragments markedly stimulated angiogenic sprouting from the aortic rings while concurrently promoting the outgrowth of resident macrophages from the aortic adventitia. This stimulatory activity correlated with the presence of intraplaque macrophages. 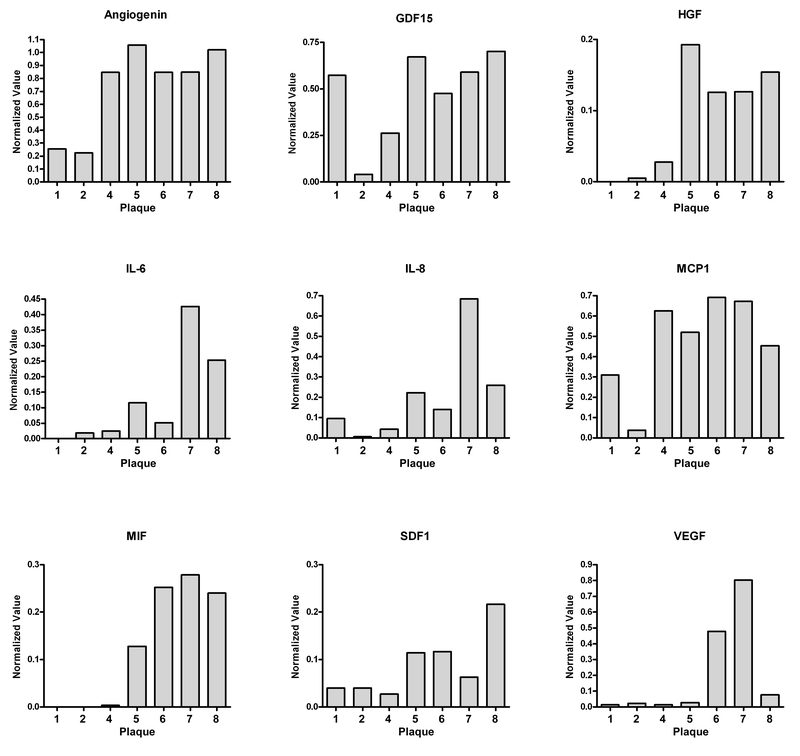 Proteomic analysis of plaque secretomes revealed heterogeneity of macrophage-stimulatory cytokine and angiogenic factor production by different plaques. VEGF was identified in some of the plaque secretomes. 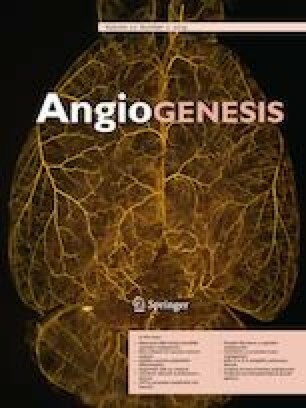 Antibody-mediated blockade of VEGF had significant but transient inhibitory effect on angiogenesis, which suggested redundancy of plaque-derived angiogenic stimuli. Pharmacologic ablation of adventitial macrophages permanently impaired the angiogenic response of aortic rings to plaque stimuli. Our results show that human plaque-induced angiogenesis can be reproduced ex vivo using rat aortic rings as read-out of plaque angiogenic activity. This model can be used to identify key cellular and molecular mechanisms responsible for the neovascularization of human plaques. The online version of this article ( https://doi.org/10.1007/s10456-019-09667-z) contains supplementary material, which is available to authorized users. This work was supported in part by a Grant-in-aid (17GRNT33410141) from the American Heart Association and by the VA Puget Sound Health Care System. The contents of this paper do not represent the views of the U.S. Department of Veteran Affairs or the United States Government. We gratefully acknowledge the support of the Vascular Surgery Team of VA Puget Sound Health Care System for this project. All procedures performed in studies involving human participants were performed with approval from the Veterans Administration Puget Sound Health Care System Institutional Review Board and comply with the 1964 Helsinki declaration and its later amendments or comparable ethical standards. Informed consent was obtained from all individual participants included in the study. All animal procedures were performed with approval from the Veterans Administration Puget Sound Health Care System Institutional Animal Care and Use Committee and followed National Institutes of Health Guidelines.